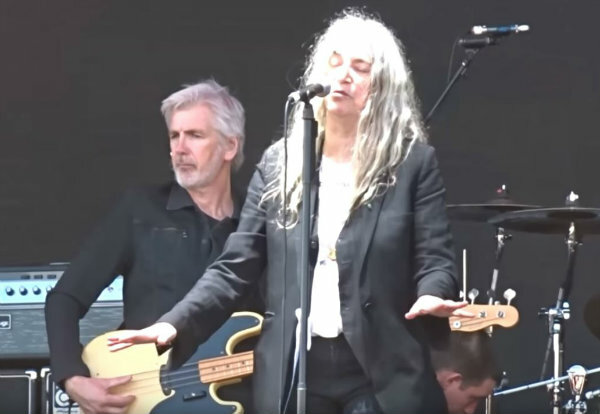 No stranger to interpreting other artists’ work, singer-songwriter and poet Patti Smith in recent weeks has taken to covering Midnight Oil’s 1987 crossover smash “Beds are Burning” in concert, leading up to the familiar song with her own 3-minute spoken-word intro about the Aboriginal people of Australia, the destruction of the Great Barrier Reef and more. Amazing! Two of my favorite artists. Thank you so much for posting this, I probably would have missed it otherwise! She’s a legend to music, that song was well written and performed by MO. But that rendition was bloody awful.